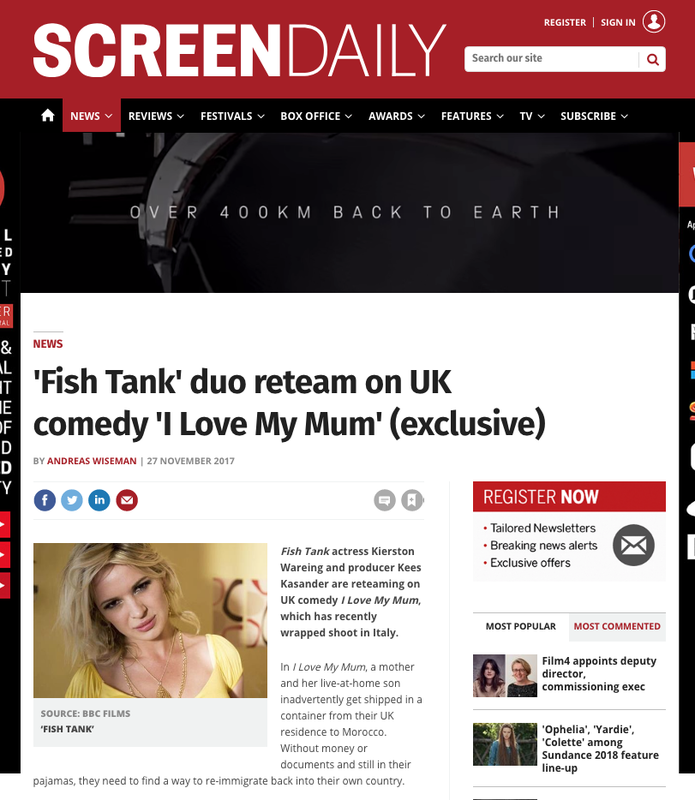 Kierston Wareing’s new film news featured in Screen Daily. 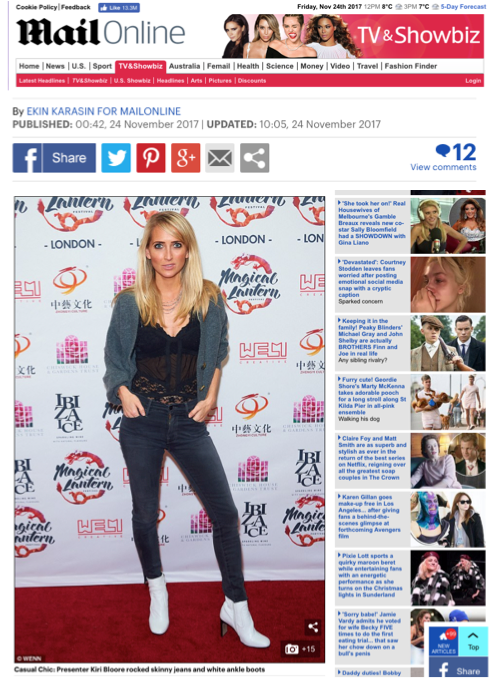 Presenter Kiri Bloore was featured in the Daily Mail at the Magic Lantern Festival opening in London. 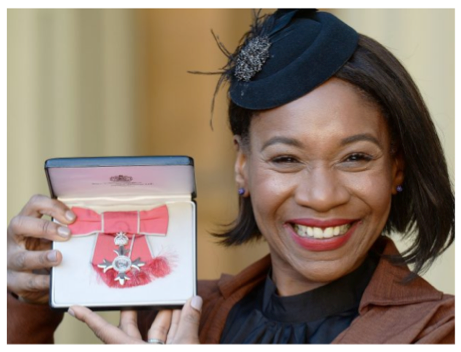 Karen Bryson was awarded an MBE on November 24th at Buckingham Palace by HRH Prince Charles, we are delighted for her! Congratulations Karen.